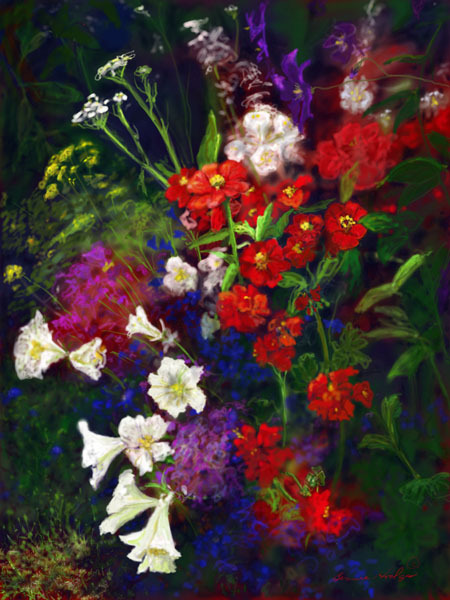 Bonnie Hodges is an award-winning artist located in Edmonds, WA (near Seattle). She has a B.A. 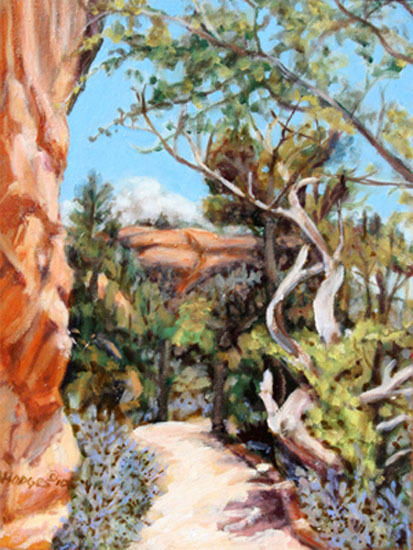 in Studio Arts from the University of Maryland and worked as an Illustrator for the U.S. State Department in Washington, D.C.
Bonnie works with a variety of media, including oil, pastel, and digitial art. 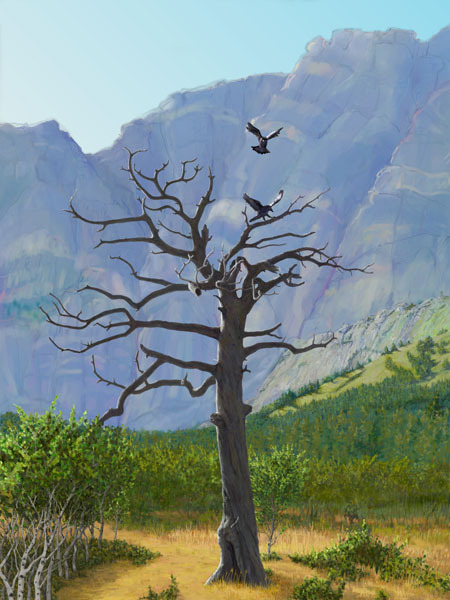 Bonnie's artwork has been featured in galleries, national and international art shows, and is on display in collections in the USA and Europe. 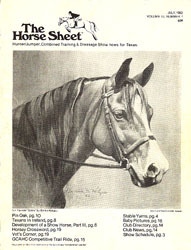 Please download a brochure. Please contact us for information about commissioning or buying a painting, print, or note cards. Prints are also available at Elegant Gems in downtown Edmonds, WA. Prints can be ordered using Paypal. The U.S. Department of State in Washington, D.C.
Bureau of Printing in Washington, D.C.
Corcoran School of Art in Washington, D.C.
"Edmonds artist to be featured in Rose House Charity Art Show." Edmonds Beacon. 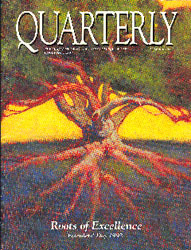 24 Sept. 2009. p. 7. 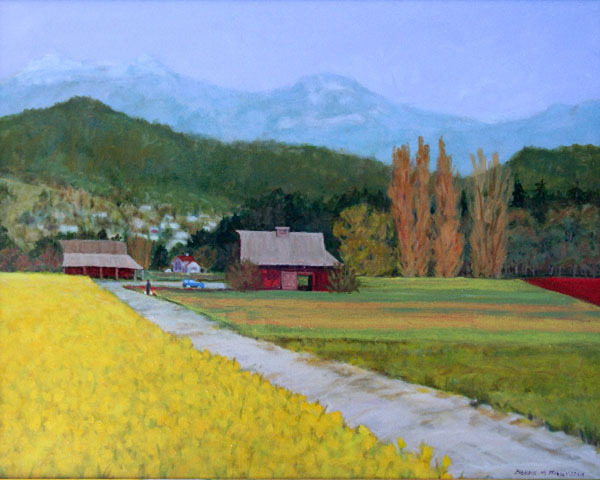 Arts of the Terrace Juried Art Show, Mountlake Terrace, WA, September 24 - October 2, 2011. 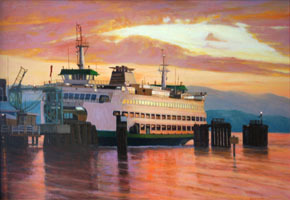 Winner of People's Choice Award for "Edmonds Ferry Docking at Sunset"
Arts of the Terrace Juried Art Show, Mount Lake Terrace, WA, October 1 - 3, 2010. 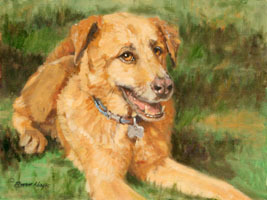 Awarded 3rd place in the paintings and drawings category for "Skagit Valley Daffodils"
PAWS: Bonnie donates 10% of the commission she receives for animal portraits to the Progressive Animal Welfare Society to help support the important work they do for animals. Edmonds Mural Society Auction Fundraiser: Bonnie donated a commission of an animal portrait to help raise funds for the Edmonds Mural Society (Auction occurred on May 22, 2010). 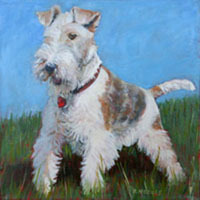 Louis Braille School: Bonnie donated a commission of an animal portrait (below) to the Benefit Auction on March 20, 2010. See the school's blog or newspaper article (Braille raises $9,000) about the event. Unfortunately, the Rose House Charity Art Show was postponed due to unforeseen circumstances. Website by Cynthia Hodges. All Artwork © Bonnie Hodges 2019.